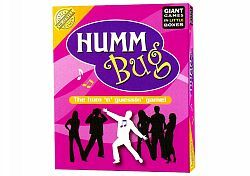 Humm Bug is the ultimate musical humming game that is a marvelous mix of fun & nostalgia! Everything from ABBA to ZZ Top - but remembering the songs is only half the challenge, you then have to hum them for your friends to guess. Songs from the fifties to the noughties!